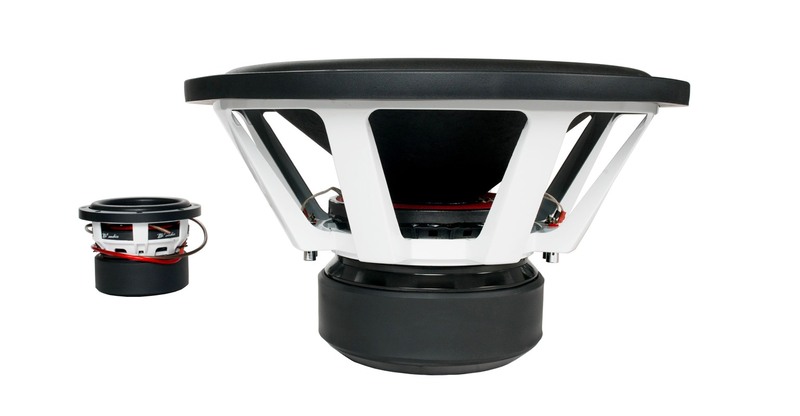 Spawned from “the first of the five – X2C” we created the XM, a subwoofer sharing many of the ideas from the X2C, but scaled down to a 4″ voice coil. With the same SAFT* design basket on the 15″, airflow is optimized for best possible cooling and increase in the SPL. All drivers also inherited the OCAF* motor design that allows for both longer excursion and minimizes heat and distortion. In 2016 we introduced the V2 of the XM. Where the V1 was efficient and brutal, the V2 goes beyond the extreme for a 4″ voice coil design. 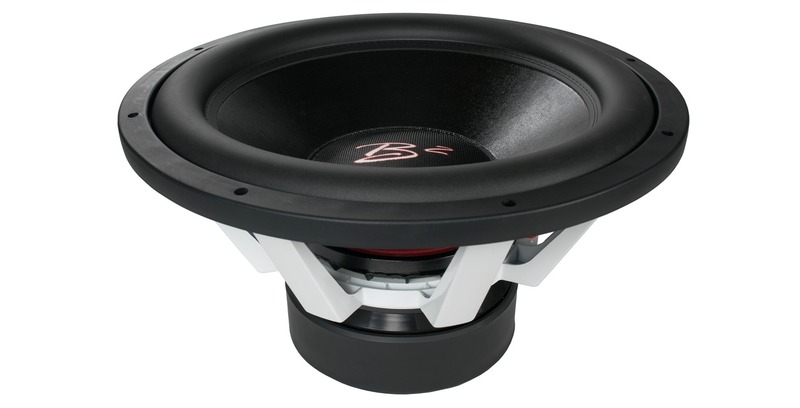 We even added the option of a 21″, whereas the 15″ and 18″ are also available in both dual 1 and dual 2 ohm. The new tall wind voice coils has increased xmax by 30%, not to mention the benefits of a more efficient powerhandling as well. To transfer the power to the coil, we still use the 4 Ga push terminals with heavy duty quad multilayer high strand count tinsels. On the XM15″, these are even mounted to a ~12″ 100% Nomex spider, whereas the XM18 settles for 10″ which is far better than the norm. Semi-pressed, fiber blend cones coupled with high roll surrounds and dual stitching ensures stability at high excursion. This new blend has also made the cones lighter, but strength is now superior compared to ordinary cones. As a little bling, we highlighted the B2 logo on all 2016 subwoofers. Don’t have the space for Xtreme Music subs? Fear not, the legendary CC8 saw a few optical revisions and was reborn as the XM8 in 2017. Compared to the CC, it now has even better cooling, slightly taller dual color stitch surround for better controlled excursion once pushed beyond its limits. Seeking the ultimate in efficiency and chasing world record scores, the XC changed the game. as well as taking home several world championships. Voice Coil Diameter: 2.5" 4" 4" 4" 4" 4" 4"
*It is essential that our subwoofers are given time to allow the suspension to soften up. Depending on use, this may take several weeks. While this process is undergoing, it is not recommended to apply full amplification power according to the subwoofers specs. Once the moving parts have been broken in, the performance of your subwoofer will increase.